OSHA regulations mandate that all construction personnel be protected against falls when working with cranes and on construction sites. Regulations 1926.500(a), 1926.501, 1926.502, an 1926.503 all include specifics surrounding fall protection measures such as fall protection systems, safety netting, personal protective equipment, personal fall arrest systems, training requirements, and guard rails. Fall protection products including full body harnesses, shock absorbing lanyards, self-retracting lifelines, fall restraint systems, and more. Understand the regulations, find the products you need to protect yourself against falls from cranes or at other locations on construction and industrial sites. 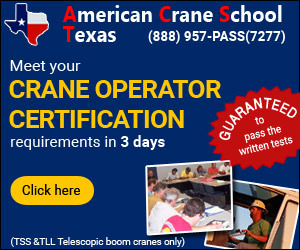 Find quality crane safety and fall protection products and service providers at Cranehunter.com.